An official tie in to the new Fantastic Beasts movie, which takes readers behind the scenes of J.K. Rowling's wizarding world film. The eagerly awaited sequel to Fantastic Beasts and Where to Find Them will transport fans once again to the wizarding world. Written by J.K. Rowling and directed by David Yates, the film follows the adventures of Magizoologist Newt Scamander, played by Academy Award-winner Eddie Redmayne. 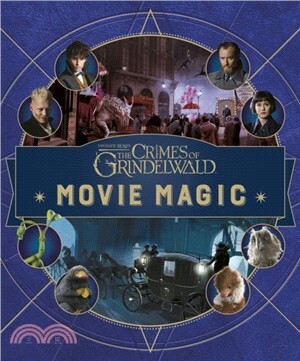 Packed with captivating facts and incredible images from the making of the film, this book features kid-friendly behind-the-scenes profiles on the characters, magical locations, beasts, and artifacts seen on-screen. This interactive volume will also come filled with bonus inserts-from maps and posters reproducing props from the film to lift-the-flaps and stickers. This book is the ultimate guide for any fan of J.K. Rowling!